Osteoarthritis is a condition that affects the joints. It is as a result of the wearing off of the cartilage that serves as cushion where two bones meet. Cartilage is slippery and firm and works by allowing the joints to move without friction. When it gets worn out, the surface roughens and gradually it deteriorates completely leaving the bones to rub against each other. Although it can affect any joint in the body, the most affected joints remain those of the knees, hips, hands and the lower back. Of all forms of arthritis, OA remains the highest ranked in patient numbers with over 27 million people in the U.S. Progression of the disease can be very gradual sometimes taking years to develop. Symptoms may begin with a single joint and progress to others. This is the first symptom you will experience with OA. It may be painful to move your joint or the pain may come after flexing it. When you stay inactive for some time, your joints become stiff. This may be common in the morning after waking up. It ceases after the joint becomes active again. The ability to turn your joint to a full range motion is lost. You may notice hard or soft swelling on the joint. The hard is caused by bone spurs while the soft is as a result of the thickening of synovial fluid. Pain will be common in specific joints in the body. These are the knees, hands, spine and the hips. A small movement of the joint causes a grating sensation. Joints become creaky on movement especially when you stand from a sitting position. Inflammation, growth of bone spurs and swelling may deform the joint and change its appearance altogether. In advanced OA, the bones around the joint develop outgrowths known as spurs which appear as painful hard lumps. A joint that suffered a serious injury or underwent a form of operation is likely to suffer OA later in life. People who engage in strenuous jobs and extremely physically demanding chores are at risk of OA. As one’s age advances, joints and bones wear out slowly. The body’s ability to heal itself weakens too and one becomes susceptible to getting OA. It is common to people above the age of 40. Knee osteoarthritis is common in overweight people. If you have excess weight, it means that the body exerts more pressure to the knees than they can bear. This poses a risk to the knees. Genes play a small yet an important part on OA. Some forms of the condition run through a blood line. Nodal OA which is known to affect middle aged women particularly in the hands is inherited. If you stay inactive for long periods of time, it means the muscles and tendons around your joints become weak. Strong muscles and tendons keep the stability of joints and when this is altered you are at the risk of OA. Light exercises like walking, cycling or swimming will keep your muscles strong. Sometimes one is born with malformed joints. You may also develop this in childhood. Such can lead to getting OA earlier in life of increase the severity of the condition in people. Some activities like sports can impose a lot of stress on joints. Games like basketball involve jumping and landing which may stress the joints, reduce cartilage and risk OA. This is the type of Osteoarthritis which is as a result of natural wear and tear of the cartilage. Medics associate it with aging and it does not have a specific trigger. This type of OA is initiated by a secondary factor. 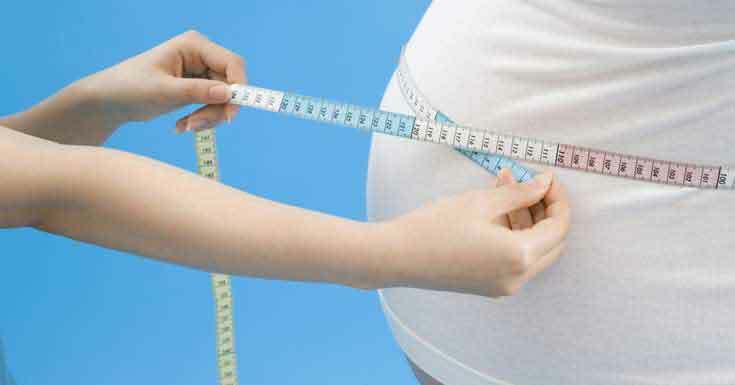 These factors may include injuries, obesity, genetic make-up or diseases. The risk factors involved with osteoarthritis include old age, gender, obesity, injuries on joints, occupations that stress joints, genetic make-up, malformed bones and infections or diseases. Some of the complications of osteoarthritis include an increased risk of contracting gout and chondrocalcionosis. Gout sets in when uric acid forms crystals which are deposited around joints. The changes that occur to a joint when you get OA can lead to the formation of these crystals. On the other hand, having chondrocalcionosis means calcium pyrophosphate crystals have formed around your joints. It may be a joint with OA or without. The severity of OA worsens when you get these crystals around the same joint. Anybody can get OA whether young or old. However, primary OA is basically associated with age and is common with the aged. Secondary OA however affects both the young and the old. Osteoarthritis affects people in every aspect of life; emotionally, socially and economically. People with OA perceive their health status as ill. The limitations that come with OA impose anxiety, pain and emotional distress to patients. Treating or finding means to deal with the condition can also be expensive and burdensome to one’s finances. When you experience symptoms that relate to OA, it is not advisable to be conclusive. Seek a medical practitioner who will test and deduce whether it is OA. Early testing will keep you away from many complications. What Research Is Being Done On Osteoarthritis? Research on OA is at an advanced state with medics digging to know how to counter this disease which has affected people for ages. At a congregation of researchers at American College of Rheumatology, several research reports revealed the possible causes of OA, the concept of patho-mechanics and how this is going to affect the treatment of OA. New research being conducted in Harvard seems to be shedding light on this condition. Dr. Antonios Aliprantis says “we’re beginning to realize that there are important changes happening in the bone underneath the cartilage and in the joint lining itself”. There is a new development to incorporate strontium effectively, a drug which has been used in Europe to treat osteoporosis. There is no single method that is defined to diagnose osteoarthritis. Your doctor will ask you a series of questions and your health history. He may then perform some blood tests on you which will rule out other diseases that pose similar symptoms. X-rays and MRI imaging are also used. They help the doctor in evaluating the extent of the condition and also rule out other similar conditions. Repeats of imaging also give the rate of progression of the disease. 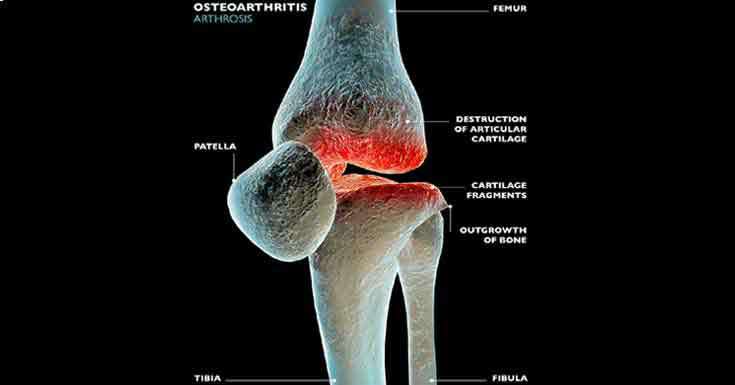 Treatment of Osteoarthritis will depend on the extent of the disease and also the joint involved. Your physician will advise on possible treatment procedures that best suit you. This may be the last resolve after the rest have failed. Your physician will advise you on the kind of surgery. It may involve total replacement of the affected joint, bone realignment or lubrication injections on the joint. There are therapeutically effective measures that can help you in managing OA. Your doctor will advise on the need for a therapist. He may also recommend braces or shoe inserts which will minimize the pain when you move. They also take up the pressure exerted on the joint. You may consider taking nutritional supplements to curb pain. Giving physical support to joints like bracing them will relieve the pain and improve flexibility. You can also combine these with a regular exercise program to obtain maximum benefits. Some people will respond to heat while others cold. Find what is appropriate for your pain. Exercising strengthens the muscles and joints. It also allows you to lose extra weight and thereby reducing the pressure you place on your joints. Your lifestyle will define how far the severity of OA will go. Eat a healthy diet, maintain your weight and avoid foods that trigger flare-ups. Extra body weight strains your joints. Getting involved in a program that allows you to shed it does your joints a lot of good. Osteoarthritis remains without a cure but there are drugs that help to relieve pain. They may include non-steroidal anti-inflammatory drugs and other pain killers. 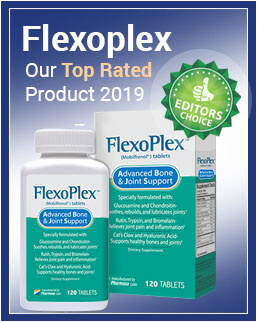 Flexoplex is a drug that has been proved to counter OA by lubricating the joint, repairing it and curbing the pain with all these benefits packed in a single tablet. Complementary or alternative therapy may include aromatherapy, taking supplements like glucosamine and chondroitin or application of gels and creams. It is essential that you involve your physician when you choose to take alternative therapy. Although all of us develop OA at some point in life as we age, it is possible for you to control the onset or progression of the disease. Indulge in regular exercises and check your weight. These will ensure the strength in your muscles and joints and that you do not strain your joints excessively. With OA, you can live a meaningful and productive life if you learn how to manage the pain in early stages. Leading a healthy lifestyle in vital in a person with OA. You might go through this Arthrocen 300, which is a natural joint supplement designed to maintain healthy joints.